DENVER -- Hundreds of people in the town of Hugo in Lincoln County are being warned not to drink or cook with the town's water after one of the town's five wells tested positive for THC contamination . THC is the active ingredient in marijuana. 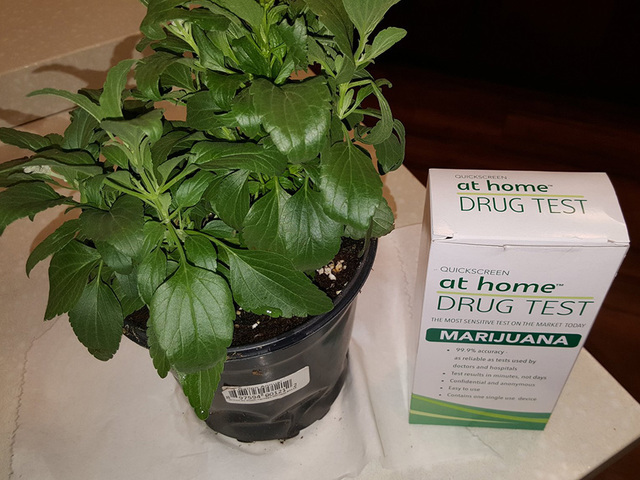 The tainted water was discovered by a company using an at-home marijuana kit, wanting to compare a positive test it discovered to what a negative test should look like. When the company put the kit in tap water, it also came back positive. The Lincoln County Sheriff's Office found out one of the town's wells, No.1 to be more precise, was broken into the day before. What caused the contamination is still under investigation by public health officials. Denver7 wanted to know if THC contamination like this could happen in the Denver metro area and if it is tested for locally. Multiple metro area health departments had no idea about this topic and were just as curious to find out what Lincoln County was dealing with. A Denver area marijuana industry executive who did not wish to be identified told Denver7 that pot grow operations should not be contaminating any water supply. The executive said that only the soil of the plant is watered and that the soil does not contain any THC. The THC is the crystallized portion on the top of the plant and is not watered. The executive also said wastewater plants may experience contamination because when people who have THC in their system use the bathroom, the THC will go through the wastewater system.